admissions department Throughout your admissions journey, you will have a key point of contact within the Admissions Department. Harriet Marshall is our Registrar and Natalie Zindani is our Admissions Assistant. They will help with all your initial questions, arrange a visit and taster day, discuss the examination and interview process with you or simply talk you through the next steps. admissions process Stage 1 â&#x20AC;&#x201C; Information Gathering Our website and social media channels should give you an excellent overview of what we offer our students in both Fettes Prep and Fettes College. It is designed to inspire, inform and enthuse you about what Fettes can offer your children. We also have a number of social media channels that give you a further glimpse in to what life at Fettes is really like. On our annual Open Day, all departments and boarding houses are open with student-led tours and a variety of demonstrations, performances and exhibitions. It is an excellent and informal opportunity to learn more about Fettes at the start of your admissions journey with us. Open Day 2019 will be held on Sunday 13th October. Stage 2 – Visit Us Once you have looked through the wealth of information available online, we would suggest that you come and visit us to experience the true atmosphere of Fettes. Individual visits can be arranged for a date and time that suits you but we strongly suggest they take place during term time so that you can meet with students and staff. If you visit us during term time, your visit will comprise of a meeting with the Headmaster (or member of the Senior Leadership Team if is he is not available), a student-led tour and a meeting with one of our housemasters or housemistresses. In order for the Admissions Team to assist you to arrange a visit, we ask that you fill in the online enquiry form which can be found at the bottom of the Admissions page on our website. This ensures that we have the correct details for you and your children. Stage 3 – Registering Your Child If you would like to go ahead with an application for your child to attend Fettes, please register your child with the Admissions Team. By filling in the Registration Form and providing the £100 fee, your intention for your child to join us will be noted. You will be kept informed about the forthcoming Entrance Examinations as well as being invited to events of interest. Only once a child is registered can they sit the Entrance Assessments and Examinations. We would recommend early registration where possible. Stage 4 â&#x20AC;&#x201C; Taster Days and Overnight Stays Once you have visited, you may wish to arrange a taster day or overnight stay for your son or daughter so that they can meet their peers and get a feel for what life is really like at Fettes. A buddy will be assigned and your son/daughter will attend lessons, sports and activities alongside them. They will be placed with a pupil the same age as them at the time of visiting. Stage 5 â&#x20AC;&#x201C; Entrance Examinations Once your child is registered, you will be kept informed about the upcoming Entrance Examinations, dates, processes and requirements. Past papers are also available on request for entry to the Senior School. Entry into the Prep School Students may join the Prep School from ages 7-12. The Entrance Assessments are held at Fettes in the January/February preceding entry although assessments can also be arranged at other times in the year. Each child will sit online assessments in English, Maths and Cat4. Entry at 13+ Candidates must be 13 on 1st September in the year of entry. Applicants may take either the Fettes College Entrance Examinations or Common Entrance. The 13+ Entrance Examinations take place at Fettes in the February/March preceding entry. The Common Entrance Examination takes place at their Prep schools in the June prior to entry in September. Those candidates sitting the 13+ Entrance Examinations take papers in both English and Mathematics and they are also required to have two short interviews with senior members of staff. If students are unable to attend the examinations at Fettes, we will arrange for them to sit papers at their current school. A Skype interview will also be requested. Entry at 16+ Candidates must be 16 on 1st September in the year of entry. The minimum entry requirement into the Lower Sixth Form is six GCSE subjects at 6 or better (or the equivalent to this). The subjects passed must include English Language and Mathematics. The Entrance Examinations take place in the November prior to entry with three subjects of the candidates choice being sat. If English is not the candidateâ&#x20AC;&#x2122;s first language, this must be one of the three papers. Two interviews will also take place. 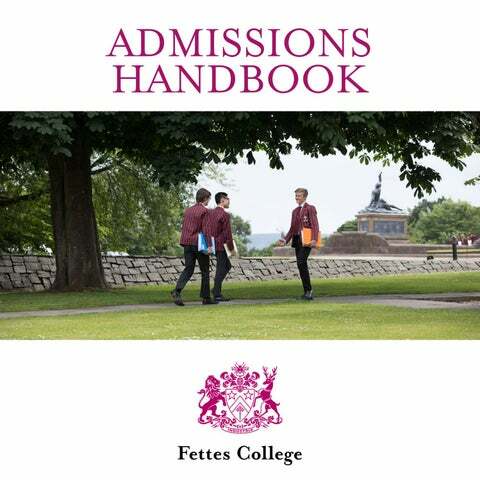 We strongly suggest candidates attend the Entrance Examinations at Fettes but, if students are unable to attend the examinations at Fettes, we will arrange for them to sit papers at their current school. A Skype interview will also be requested. Entry is sometimes possible into 4th Form but places are often limited. We do not consider students for entry into 5th Form or Upper Sixth. Stage 6 – Offer Confirmation We aim to let all families know the outcome of exams within two weeks. If your child has been successful, you will receive a formal offer for completion. In the summer term, you will receive detailed joining instructions. international families Guardians All parents who live overseas are required to name a UK based guardian for their child. The guardianâ&#x20AC;&#x2122;s role is to support the child, look after the student during half term or leave weekends, deputise for the parents when they are unavailable and be contacted in an emergency (a proximity to Edinburgh is therefore recommended). A guardian can be a relative or friends whom parents know and trust or a guardian appointed and monitored by a reputable guardianship agency (we can provide suggestions). Visas If you believe your child may require a visa to study in the UK, it is essential that you plan ahead. Please contact our Admissions Department at the earliest opportunity so they can advise you on the visa application process you will need to undertake. 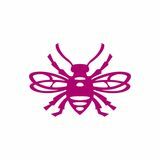 In light of the increased complexity surrounding the application process and the importance of getting it right, we now require all applications to be made in association with the Taylor Partnership, a firm of immigration specialists. An additional cost will be incurred for this service. International Connections We understand the needs of overseas parents and have vast experience caring for pupils from around the globe. Our Admissions Department will happily put you in touch with current parents who reside near you so you have a local point of contact if you wish. Disability Policy Providing applicants meet our standard entrance criteria, we welcome applications from disabled students for a place in our College. We have successfully integrated students with disability in the past, but the extensive grounds and long distances between buildings do present serious challenges for students with serious ambulant disability. We will nevertheless consider all such applications fully. We would be very happy for you to visit the College and discuss with us your son’s or daughter’s requirements and to see for yourself what we offer. We would be pleased to send you a copy of the School’s Disability Access Strategy on request. scholarships, awards and bursaries Scholarships and Awards Fettes College offers a range of Scholarships and Awards based on merit: there is considerable kudos attached to being a scholar or award-holder at Fettes. Scholarships and other awards cover up to a maximum of 10% of the fees. The following Scholarships and Awards are available: •	Academic Scholarships at 11+, 13+ and 16+ •	Music Awards at 11+, 13+ and 16+ •	Sports Awards at 13+, 16+ •	All-rounder Awards at 13+, 16+ •	Piping Awards at 13+, 16+ •	Art Awards at 16+ To discuss the Scholarship and Awards process in more detail, please speak to the Admissions Department. Bursaries Means-tested bursaries are available to any applicant who passes the Entrance Examinations for Fettes Prep or Fettes College and requires financial assistance. The maximum reduction available is 100% of the fees. There is a finite amount of funding available each year and parents are advised to refer to the means-tested Bursaries Policy for more information. All bursaries are co-ordinated through the Bursarâ&#x20AC;&#x2122;s Office. Please contact bursar@fettes.com Please take a look at the Bursaries Brochure for further information. fee structure Session 2018-2019 Fees per term (three terms per year) Senior School •	Boarders £11,600 per term •	Day Pupils £9,400 per term Preparatory School •	Boarders £8,070 per term •	Day Pupils £5,500 per term All fees include the cost of all meals taken at School. In the event that more than one sibling attends Fettes, there will be a reduction available on the total fees payable equivalent of up to 5% of the second child’s fees, 35% of the third child’s fees and 50% of subsequent children’s fees while they are attending Fettes together. Children of serving members of HM Forces may also qualify for up to a 12.5% reduction in fees. There is a premium for direct entry into the Sixth Form equivalent to 10% of the Senior School boarding fee. It may be paid termly on the basis of 5% of each of the two Sixth Form years. A non-refundable registration fee of £100 should accompany the registration form. A deposit of £500 should be sent as a final entry fee when the offer of a place is confirmed. Parents who are not UK nationals and/or who are not domiciled in the UK are also required to deposit a full term’s fees. Deposits will be offset against the student’s account for the final term. Details of arrangements for the paying of fees will be provided in good time before the first term’s fees are due. Fees are reviewed annually, and every effort is made to avoid an increase in the course of the school year. the aims of fettes Fettes College aims to nurture the individual while fostering a happy, well-ordered and caring community with strong family values at its core. To this end, we will do our utmost to ensure our students: •	Receive the highest possible quality of education within a boarding environment •	Feel safe, valued, have a sense of personal worth, are thoughtful and considerate of the needs of others, possessing a willingness to take on responsibility •	Develop their self-confidence, integrity, emotional resilience, loyalty, good manners, humour, leadership skills and team-work •	Value a sense of community and service and develop a clear sense of right and wrong, equipping them for life beyond Fettes •	Are provided with equal opportunities regardless of gender, sexuality, ethnic origin or religion •	Are encouraged to stretch and challenge themselves in everything they undertake. admissions philosophy Fettes seeks bright, motivated and curious students who possess imagination, energy, a concern for others and a commitment to academic and personal growth. Our first interest is in potential studentsâ&#x20AC;&#x2122; abilities â&#x20AC;&#x201C; their inquiring mind, their initiative, their willingness to pursue a subject deeply and to think independently. We are also interested in what potential students have accomplished with those abilities â&#x20AC;&#x201C; how they have ventured beyond their known talents and shown excellence. We actively seek a student body that is racially, geographically and socio-economically diverse and we welcome applicants from all backgrounds. Differences in educational opportunities and individual circumstances are valued and are taken into consideration. We use examinations and interviews to assess the promise of each individual applicant and to determine which students will gain the most from and contribute to all that Fettes has to offer. As we receive many more applications from prospective students than there are spaces available, we are unfortunately not able to accommodate all applicants who meet the admissions criteria.